Naples Municipal Airport is a busy place. Charter flights are available that will get you to Key West, Miami or anywhere else quickly. The largest local FL commercial airport is Southwest Florida International Airport in nearby Fort Myers. Flights from dozens of air carriers are offered daily. To feature your FL travel service, contact us. Take I-75 north. The airport is approximately 165 miles north of Naples. 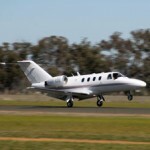 Marco Island Executive Airport is the closest airstrip to Marco Island. The airport is located just minutes to downtown Naples and I-75. The airport is just a few minutes from the Semole Immokolee Casino. The airport has a shuttle service from the airport to the casino. Immokolee is about a 40 minute drive from Marco Island, FL. The US Air Force Civil Air Patrol is located next to the Marco Island Executive Airport. The Page Field airport is a private, general aviation airfield that provides a nice alternative to flying into Southwest Florida International Airport.